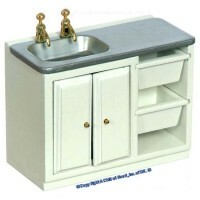 The sink cabinet is made of Wood with a white painted finish. of a Stainless. And comes with painted wooden pull out bins.